We’re a nation that has been flocking to urban areas in droves over the past few decades. And it doesn’t take a genius to see why: more often than not, that’s where the jobs are. There’s also plenty of things to do; all the best concerts, theater shows, and art exhibitions take place in cities, after all. However, there is a downside to living in a city: it can be expensive. Rural areas, on the other hand, often have a much cheaper price tag, overall, allowing you to put more money into your savings account. 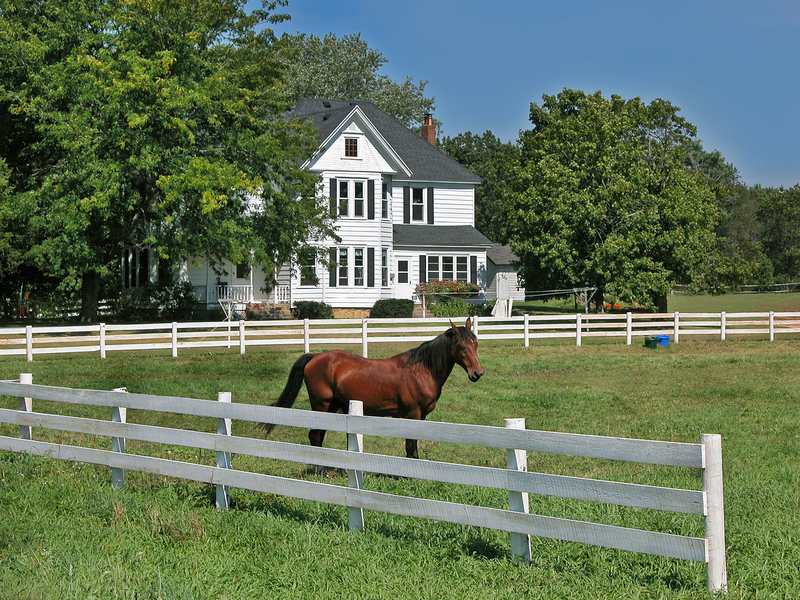 Below, we take a look at some of the ways in which country living might be the best financial decision you make. If you’ve spent any time living in a city, then you’ll know there’s an element of competitiveness that can be hard to ignore. Even if you’re immune to it when you first arrive, you soon find yourself spending more cash just to keep up with your friends, colleagues, even people on the street! There’s an unwritten code of conduct that many trendy cities abide by, and they lead to anything but sound financial decisions. In the country, you’ll naturally find your competitive nature taper off, and you’ll only spend money on the things you actually want. People often have to work long hours when they’re trying to get ahead in a city. And after all that work, it’s easy to fall into the trap of thinking that you deserve something special to compensate for all those hours you’ve put in! And unluckily for you, the city is usually more than willing to give you something to spend money on. Whether that’s a plush meal at a fancy restaurant or just a few upmarket cocktails, there’s always a money drain somewhere. When you live far away from these temptations, you’ll have to find other ways to entertain yourself – and it’ll almost certainly cost less money. When you live in a city, you often find yourself thinking about your social standing – it can’t be helped! As such, studies have found that people spend more money on certain items that their rural counterparts. In New York, for example, it was reported that people spend an above average amount on luxury shoes and watches; in Phoenix, it was high-end makeup that made people part with their cash. In rural areas, these things have little to do with how you’re perceived by the wider community; and indeed, being too flash might actually have the opposite effect. Here’s the thing about cities: no-one’s quite sure just how stable their housing markets are. When you’ve got everything concentrated downtown, then people often have to commute for 45 minutes or more – but there’s not that much reduction in house value just because you’re not right in the mix. As such, there’s a chance – especially in cities like Vancouver and London – that the house prices will fall, or even collapse, sometime soon. Out in nature, this is much less of an issue, because the house doesn’t get its value from its proximity to downtown. If you’ve ever looked to buy a home in a city, then it probably wasn’t long before you discovered how little you would be buying for a not insubstantial amount of cash. When you move out of the country, your money goes much further. To get an idea of just what kind of property you could afford in more rural areas, take a look at Coldwell Banker Mountain Properties. All of a sudden, that small two-bedroom downtown apartment you were thinking about buying won’t look like such a good deal. Cities are often promoted as a place to get things done, but is this actually the case? Between the commuting, organizing, and socializing, there are not all that many hours left in the day to grow your business or get a side-project underway. If you don’t necessarily need to be located in a downtown area for your business needs, then you might find that you’re able to work harder and better in a rural area, away from all the distractions that cities often provide. In any case, it’s a slower pace of life; whereas days can pass by in a second in a city, they can seemingly go on all day out in nature – and especially so in the summer. Just think of all that you could achieve – and how much money you could make – if you were rolling two days into one. There are people who have grown up in urban areas who have no idea where food comes from. You could drop them in the middle of a cornfield, and they wouldn’t realize that they were surrounded by food. In rural areas, the connection between where food comes from and how you get your food is a lot more transparent. For starters, you could save massive amounts of money simply by growing your own food; this is entirely possible in many regions of America. For everything else, there are local markets with a much lower price markup than the supermarkets in cities that have to get their food from all parts of the nation. In the city, you’ll entertain yourself by going to the cinema, or the theater, or to a stand-up comedy show. It’s not necessarily what you want to do, but what else is there to do? You have to do something! In areas with more natural beauty, entertainment comes free. A long walk through the forest, long days in a hammock, or watching the sunset are all wonderful things and cost nothing at all. Finally, remember that city life is stressful. As such, people don’t want to escape for a weekend or longer – they NEED to, and it costs them plenty of money. In the country, you’ll be more relaxed, which means having to spend less money on escaping!